The Parish Church of Hanbury. 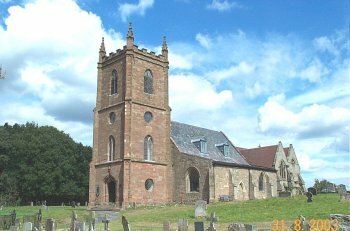 Set in an imposing position on a hill with panoramic scenic views overlooking the Worcestershire countryside is the lovely parish church of Hanbury. There has been a church on this site from Saxon times. It is believed that some of the stones from the original Saxon building have been used in the existing structure. 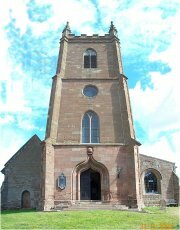 The church had a major rebuild during the 1200's and then remained as such until the Victorian era. In 1861 the Vernon's a local family of landed gentry who owned nearby Hanbury Hall commissioned Giles Gilbert Scott RIBA an important mid-Victorian period architect to carry out a major restoration of the church including a new Nave, Chancel, Trancepts and Tower. It must be assumed that included in the restoration works was the erection of a warm air stove and ductwork system by G N Haden & Sons of Trowbridge Wiltshire. George Nelson Haden had already worked for Gilbert Scott (later to become Sir George Gilbert Scott) and no doubt in view of their good working relationship, the firm of Haden's was asked to install the warm air ducted heating system complete with its stove. 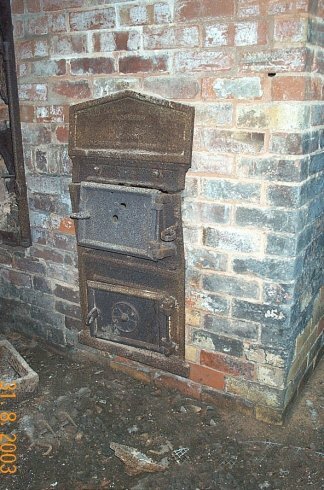 This solid fuel fired warm air stove was still in use until the 1950's. 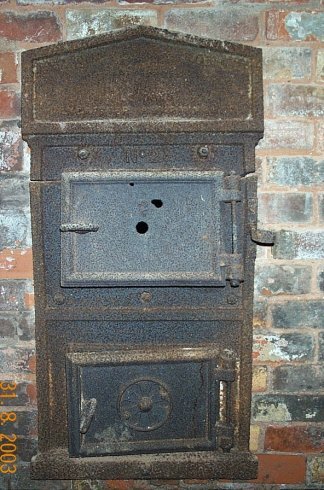 this stove to be No.2114 Size 2 dated 20th February 1862. It had the casing renewed in 1882. The discovery of this stove brings the total number of known Haden warm air stoves to nine. When it is considered that over 7000 of these stoves were made, each one now discovered has become a living example, highlighting the rarity of these items of equipment and showing the Victorian craftsmanship, our engineering history and its heritage.